We are obsessed with these unique shorts! 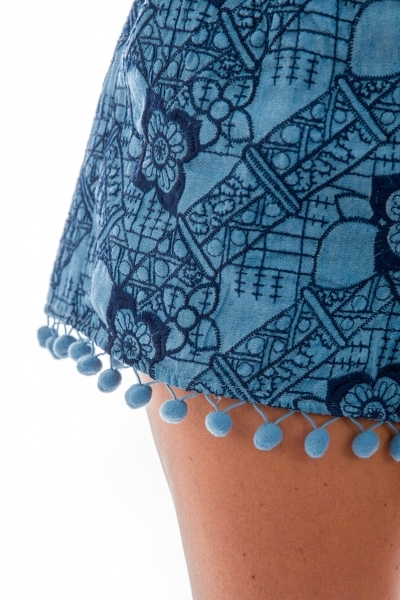 They are covered in navy embroidery and have a fun pom pom trim. Shorts have elastic in the back for an easy, pull-on fit. Fit is true to size. Lexee is wearing size small. Inseam/rise measures approximately: S=1.5"/11.5" M=1.5"/12" L=1.5"/12.5"